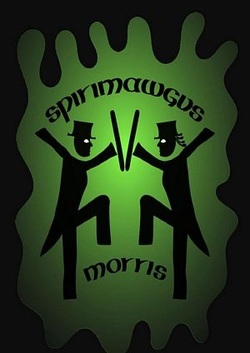 Spirimawgus Morris was formed in January 2012 in Turners Hill, West Sussex. We are a mixed Border Morris side and perform dances predominantly from the Welsh Border counties of Worcestershire, Herefordshire and Shropshire. Our name, 'Spirimawgus', is from a Sussex folklore figure similar to the Bogey Man, also known as Spirimogel in the West Country. The warning that "Old Spirimawgus will catch you" was used as a way to subdue naughty children. We are always welcome new dancers and musicians so if you want to know more please contact us.